We live in the century of the city, as a majority of the world's population lives in metropolitan areas. Yet, urban areas are increasingly characterized by greater inequality between the rich and poor. We believe city life can and should be healthy for all people and the planet, and our work aims to promote greater equity, social justice, and health for people within and across cities around the world. September 2017: Director Jason Corburn's book with Dr. Lee Riley, Slum Health: From the Cell to the Street, wins Highly Commended Award from the British Medical Association, 2017 Medical Book Awards. March 2017: New paper on slum upgrading and health equity by Director Corburn and PhD student Alice Sverdlik in the International Journal of Environmental Research & Public Health. 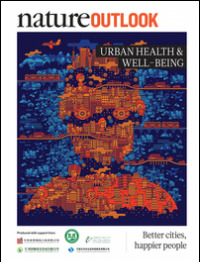 March 2016: Director Jason Corburn's work promoting health equity through community stress reduction featured in March 16, 2016 issue of Nature. March 2016: The Future of Healthy Cities workshop. June 2016: Healthy City Planning short course. 2015 - 2016: Health Equity Action Lab (HEAL) provides students with an in-depth background about jobs, careers, research, and other opportunities.